The three Whitesands cottages - Ty Gwyn, Craig yr Haul and Foxhole - are grouped together at the north end of the beach, facing south towards the Bay and Ramsey Island. 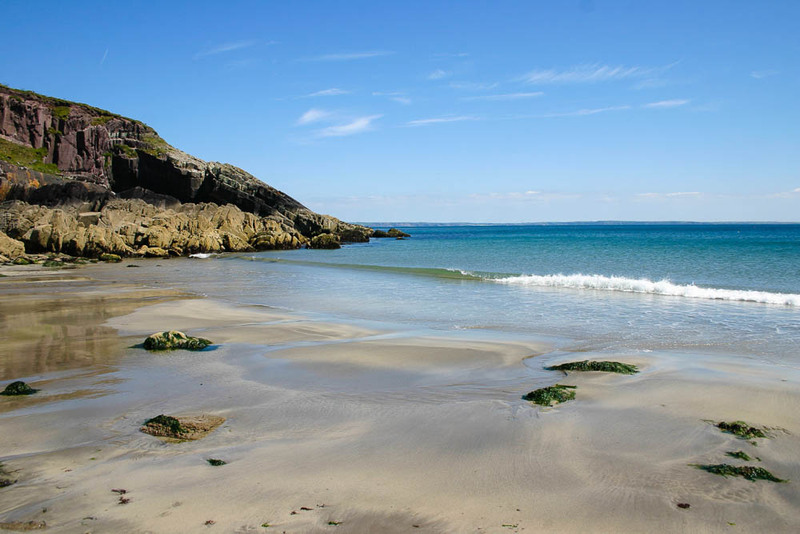 Whitesands Bay was chosen as Countryfile Magazine's "Beach of the Year" for 2014/15. St Davids Head, Porth Melgan Beach, Garn Llidi Mountain and Porthsele are all only a short walk along the Pembrokeshire Coast Path. The Beach - 200 metres away. Surf hire - next to the beach. The famous Pembrokeshire Coast Path. Close to (500 metres) the St David’s links Golf Course (9 hole). A couple of miles away (5 minute bus ride from the beach Car Park) from the tiny city of St David’s (population less than 2000); here you can visit the Cathedral and Bishops Palace, enjoy a meal in one of the handful of pubs or restaurants, or collect the essentials you may need. From Haverfordwest take the A487 road to St Davids. On entering the city’s 40mph sign, go past the garage on your left, the school and housing estate (Millard Park) on your right; after the housing estate turn right down Glasfryn Lane. When you arrive at the junction at the end of this lane (having passed the industrial unit on your right), turn left onto the main road. Then turn right towards Whitesands (driving past the Rugby Club), and shortly afterwards turn left onto the B4583 road to Whitesands. 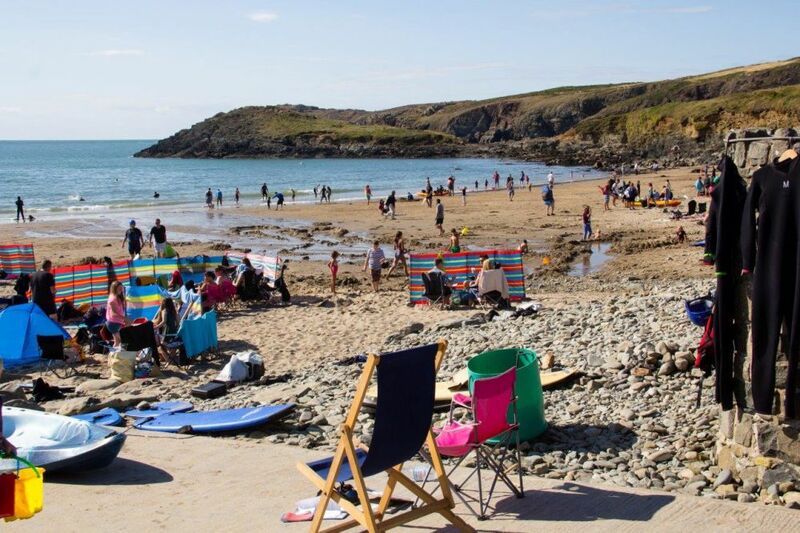 Just before you reach Whitesands Beach, you will see a pair of semi-detached 1930s houses on your left. Opposite the first of these houses, turn right up the concreted farm lane, and the cottages are at the top of the lane. For those interested in walking the area, the appropriate 1:25,000 map is Pathfinder 1055 (SM 62/72) on which the grid is SM 735 273. Depart Haverfordwest on the A487 driving towards St Davids. Travel along this road until you arrive at Solva. Drive through Solva, pass through Nine Wells round the sharp bend and up the hill, continue on the A487 passed the modern phone kiosk on your right for about another half a mile. The road will then start dropping downhill, and you should turn left (indicated by a triangular road sign) half way down the hill, onto a single-track road. Continue along this road for about 300 metres and you will see a bungalow (Tegfan) on the bend in front of you, drive down the farm track to the immediate right of the bungalow entrance, and you will see the gate entrance to Agos y Môr after about fifty metres on your right.